2018 sees CultureMix join Arts Council England as a National Portfolio Organisation (ACE NPO). To celebrate this momentous achievement CultureMix presents an international Carnival of the World project with artists in residence Afoxé percussion ensemble Ylê D’Egbá direct from Pernambuco in NE Brazil. 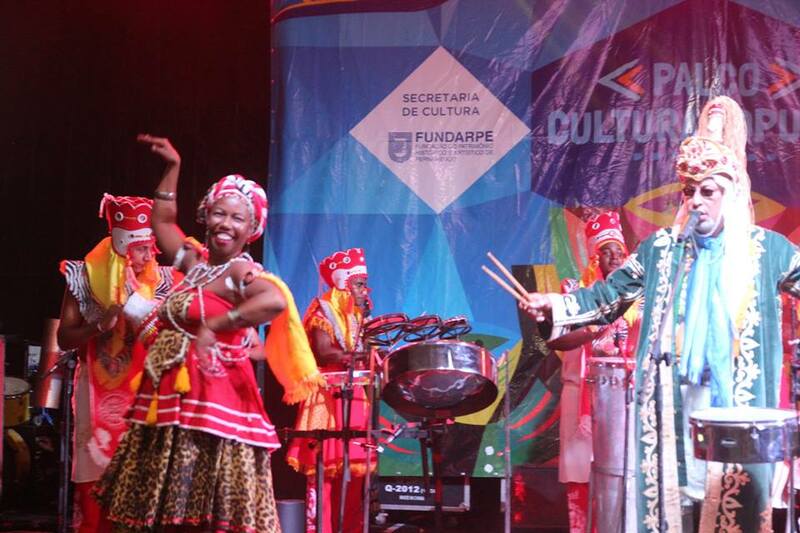 Afoxé Ylê de Egbá is a group that promotes Afro Pernambuco culture to preserve the Yoruba traditions and history of Black people brought as slaves from Nigeria to NE Brazil. Led by master percussionist Dito D’Oxossi Ylê De Egbá practice Candomblé, believing in one powerful God Oludumaré served by Orixas Shango, Oshun and Yansa. Music, dance and costume are important elements of the traditional rituals. Leading up to the event are free August workshops in percussion, costume making, music and dance for you to experience authentic traditional Afro Brazilian culture. CultureMix is inviting all ages to join RASPO for an all expenses paid tour of performances at Carnival of the World in Reading and at London’s famous Notting Hill Carnival.